'The Witcher 3' Sales Hit 4 Million Units in First Two Weeks | Nerd Much? In an open letter to fans thanking them for their love and support, CD Projekt Red Co-Founder Marcin Iwinski has revealed that The Witcher 3 sales have hit 4 million units to date in the first two weeks after its release date of May 19th. The Witcher 3 currently holds a review average of over 90+ on every platform, with many praising the role-playing game’s scope and gameplay. May 19th was a crucial date for all of us here at CD PROJEKT RED — we released The Witcher 3: Wild Hunt, our open world role-playing game that we had been hard at work on for over 3 years. Since day one, you have given us tons of positive feedback and support — the sheer volume of emails we’ve gotten since launch simply congratulating us for our efforts is both epic and heartwarming, and I wish every developer comes to have such a fantastic community. In terms of media reception, we’re really humbled by the scores the game has received all around the world. With an average of 90+ on every platform, Wild Hunt is our dream coming true. I’d also like to take this opportunity to thank the four million gamers worldwide who bought The Witcher 3: Wild Hunt in the first two weeks from launch. Four million RPG fans spending their hard-earned money on our game is a sign that we did something right, and you can be sure that we’ll harness all that positive energy and make the upcoming expansions worthy of the grand adventure that you’re telling us Wild Hunt already is! Until then, keep on enjoying Wild Hunt, do not forget to grab your weekly set of free DLCs, and stay tuned for constant updates and enhancement to the game we are continuously working on. Dandelion once said to Geralt that the world is changing, the sun is setting, and vodka’s running out — go, play, and have fun! Meanwhile, half of us that purchased the game aren’t even close to being finished with it, which is unfortunate since Batman: Arkham Knight is coming out in two weeks. Still, CD Projekt Red obviously deserves recognition for their masterful creation, and The Witcher 3 will obviously be considered for Game of the Year awards later this year. 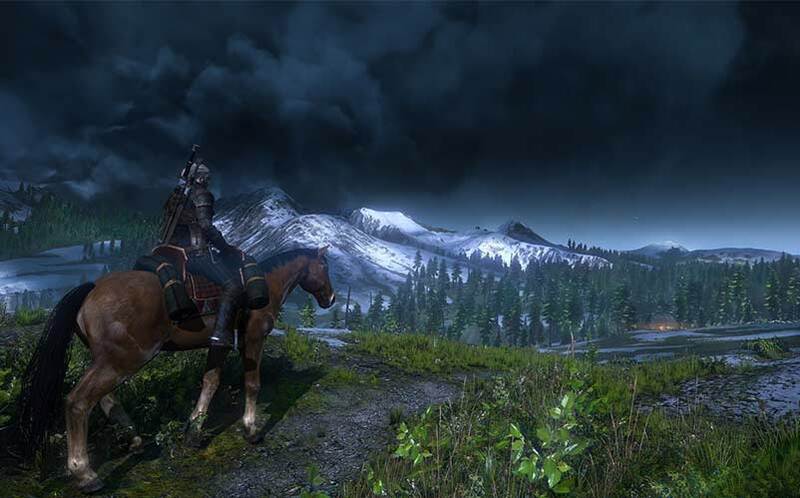 Buy ‘The Witcher 3’ here.